Not colored properly. Can this be fixed? Using Windows 10 build 1607, x64. At the bottom of the downloads page there is a link to a GUI that can be used to change some of the features in Aeroglass (middle file in the 'Others' section). 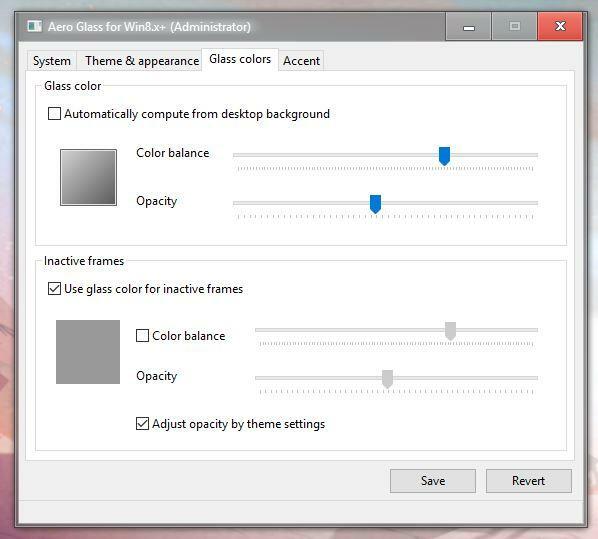 You can change the glass colour with that. I can't get it to work right. First - when I apply settings, they just change back to what they were. Have you clicked on the large colour square in the 'Glass Color' section and then clicked 'Define Custom Colors' to pick a colour that you like? I think the colour of the title bar is still controlled by Windows so I think you would need to get the colours to match in the GUI and the personalize options you get when you right click on the desktop. Even if you get the colours exactly the same you will probably still get a line where the title bar and border meet.